NV Holder: NV Holder is a cool shirt holder that keeps the shirt perfectly tucked in throughout the day. 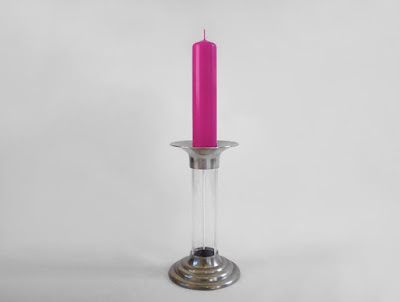 It's available in two options: T-Holder and S-Holder. Buy Now: From $29.99. Dunkin' Buddy: If you have been dunking your cookies in milk, you know that once in a while the cookies breaks off and falls into the milk and you need a spoon to retrieve it. To make things easy for you to dunk your favorite cookie, we have Dunkin' Buddy for you. 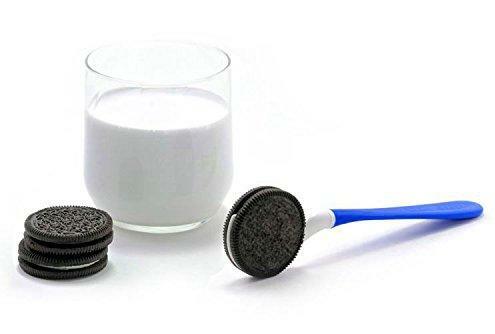 The Dunkin' Buddy uses magnets to attach to the side of your milk glass; the cookie needs to be placed in the container on the inside of the glass and using holder on the outside of the glass you lower your cookie into the milk till it soaks up the milk and again using the holder on the outside of the glass to raise the cookie above the milk line and its ready for you. Buy Now: $ 9.95. Morning Headcap: Did this ever happen to you that you get up late and have no time for a shower, late for work or school and your hair looks completely messed up? Morning Headcap is a perfect solution for these situations; it gives you a cool wet look in no time. The Morning Headcap resembles a shower cap comes with a super absorbent material on the inside; to use it just pour some water and put it on your head and seconds later your hair gets a wet look. 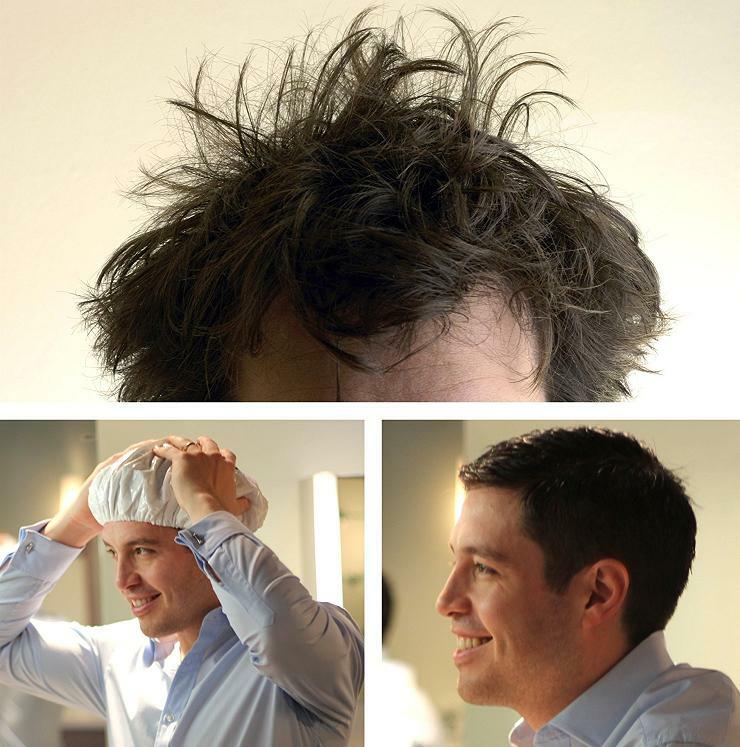 Now you can style your hair as you normally do after a shower. Its perfect for helmet hair, hat hair and nap hair. It's washable and reusable. Buy Now: $10.99. 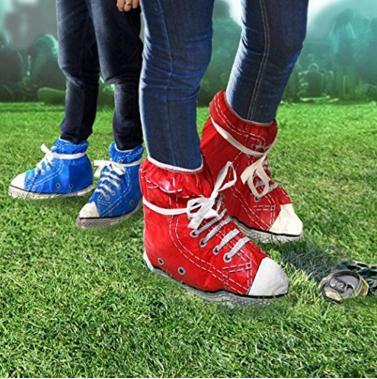 Shoe Covers: These disposable shoe covers are designed to protect your favorite shoes from mud and water, and are perfect for your festivals, parties and concerts. These are styled to look like canvas trainers, come with slip on closure, available in two colors and features huge laces to fasten them on. Buy Now: About $ 8 (£5.93). Justice Caps: We live in a society that's completely monitored, and that too for our "good" and protection. Well that been said, if you are among those who don't want to be watched, we have for you the Justice Caps that let you hide your face from surveillance cameras. 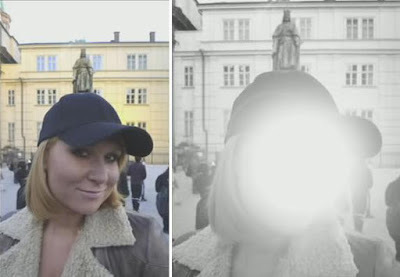 It features set of lights that white out your face when viewed through a surveillance camera. It works best when used against low-light or night vision cameras. Buy Now: $21.99. 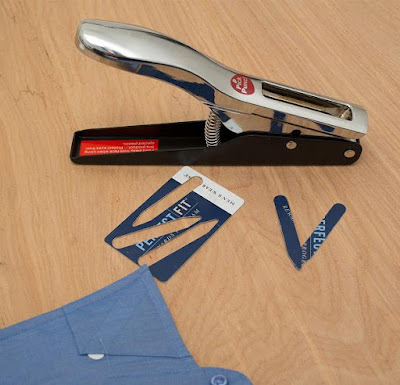 Collar Stay Punch: Most of us remove the collar stays when we give out shirts for laundry and these get misplaced easily. If this is the case with you too, then Collar Stay Punch is a must have for you. The Collar Stay Punch lets you reuse your old credit cards, gift cards, and more and punch new collar stays out of them. Buy Now: $29.95. Clip In Man Hairbun: If you want to sport a hairbun but don't have the time or the patience to grow one, then Clip In Man Hairbun is for you. 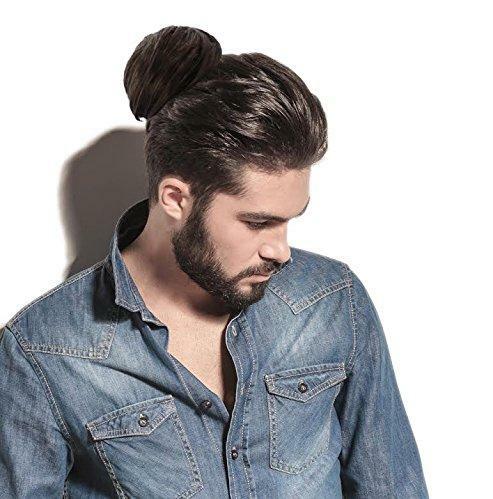 This attachable hairpiece lets you have a hairbun without having to grow your hair. It is available in black, brown, and blonde, and attaches to your hair easily with a comfortable clip. Buy Now: $14.99. 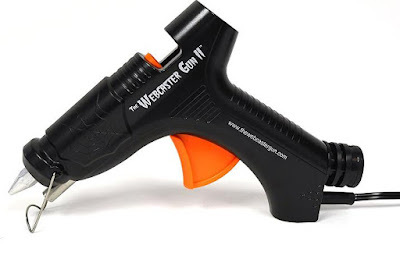 Webcaster: The Webcaster sprays out cobweb for decoration. It comes in two different versions, one that attaches to an air-compressor, and the other attaches to a shop vacuum. It lets your create fake spider webs that look realistic. Buy Now: $25.11. 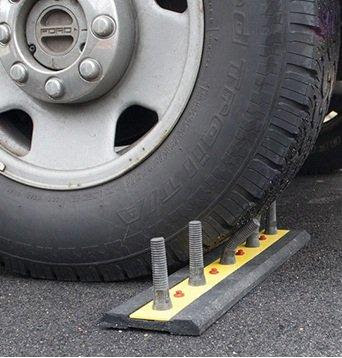 Fake Car Spikes: If you don't want people to turn around in your driveway or want to keep cars out of your private property, then these Driveway Spikes are for you. These look real but are flexible, made from rubber, and safe to drive over yet create an impression that it will destroy the tires if driven over. For night visibility these feature reflective yellow. Buy Now: $39.95. 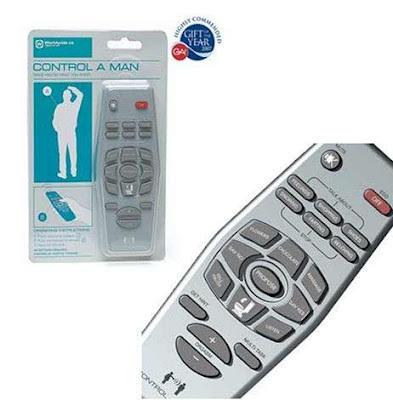 Control Your Man Remote: The Control Your Man Remote is something every woman dreams off. The remote features hilarious demands as buttons - "say no", "say yes", "flowers", "massage", "tell the truth ", and more commands that is sure to make your life more comfortable and happy. It's powered by positive thinking, and to make it work, point it at your man, press the required command button and hope for the best. Buy Now: $15. 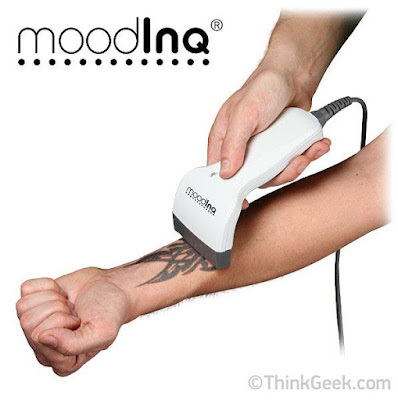 Programmable Tattoo System: If you want to get a tattoo but are not sure of it, then this Moodinq - Programmable Tattoo System is for you; it lets you change or remove your tattoo as per your need. It works using a canvas (implant E ink grid) that you can place anywhere on your body, and can be configured to the size and shape of your body part. Next you can choose the design, image, drawing, or text and use the Programmable Tattoo System to ink it onto the grid. When you feel you had enough of it, you can just remove it. Buy Now: $149.99. Dipr Cookie Spoon: The dipr is a cool spoon that holds your sandwich cookie while you dip it in milk without getting your fingers sticky. Buy Now: $5.49. 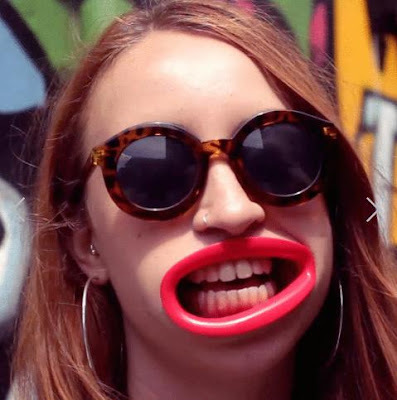 HyperLips: HyperLips are wearable lips that transform your face, turns frown into a contorted grimace. Buy Now: About $8 (£5.99). 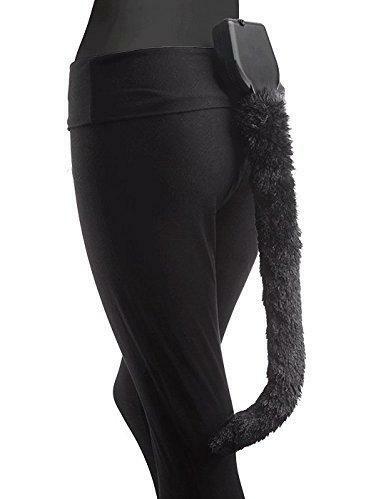 Electronic Moving Cat Tail: The Electronic Cat Tail easily clips onto the back of your waistband and swishes back and forth just like a real cat's tail. Buy Now: $39.99.